The weather has been getting colder here in Australia, and you may find that gardens are already experiencing frost damage. Plants are made up of cells, which have rigid cell walls. When conditions are freezing (0oC) the water in the cells expand like ice-cubes in your freezer, and the cell walls break! A sudden melting of the frozen liquid will damage plant tissue. 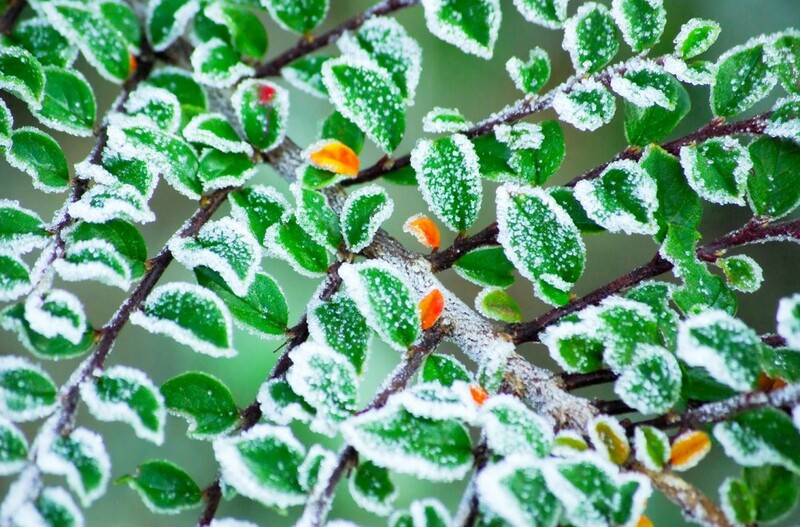 Frost usually affects the growing tips or exposed leaves. The damaged plant tissue may be brown or black. The most important rule of thumb is to not cut off damaged foliage until after the frosts have finished for the year. The damaged leaves will protect other tissue from further damage. Moving pots to protected areas is a good idea and you can also purchase various frost-protecting products/blankets. Remember to let your plants thaw out naturally and hold off any watering until the next day (if watering is required). Watering too much will exacerbate frost damage. Even if you think your plant might be dead, don’t give up until at least early summer. The only exception would be if the roots have turned to mush and the plant pulls away easily. Sometimes roots can remain alive when the upper growth has died away. It can be worth the wait. Or simply, grow natives! Australian native plants that are from cooler areas will be frost tolerant to some degree. Browse our entire range at Austraflora’s website and Pinterest page for some fantastic ideas to suit your garden. You’ll find that the majority of our plants have at least medium frost tolerance.